If you missed the Samsung IFA 2014 press conference or would like to catch-up on all the news and devices that were announced by the company during their IFA event in Berlin last week. You will be pleased to know that a full length video has now been uploaded to YouTube website for your viewing pleasure, check it out after the jump. 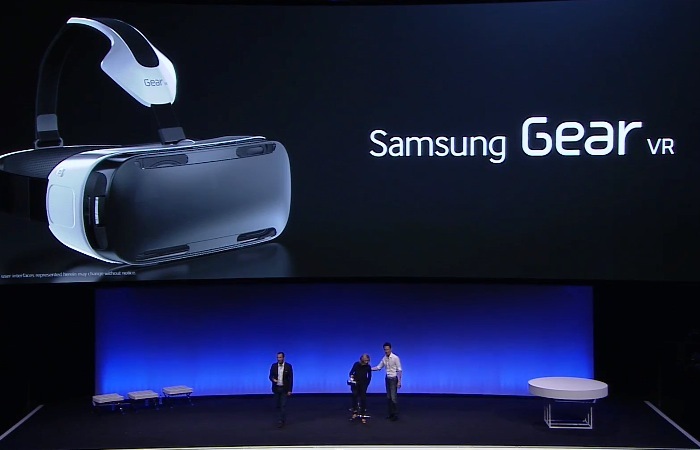 During this year’s IFA 2014 technology conference in Berlin, Samsung unveiled their new Galaxy Note 4, Galaxy Note Edge, Gear S, and Gear VR virtual reality headset. The Samsung Gear VR will retail for $199 when it launches in the US and is expected to be priced at £150 when it launches in the UK later this year. Unfortunately at the present time no official release date for the virtual reality headset has been revealed by Samsung. To learn more about the new Samsung Gear S smartwatch which is fitted with a 2-inch Super AMOLED curved display, offering a resolution of 360 x 480 pixels and powered by a dual core 1GHz processor supported by 512MB of RAM and 4GB of built in storage, watch the video below. It will be interesting to see what Apple brings to the market place tomorrow hew they launch their new and highly anticipated iPhone 6 smartphone, together with more details about their iOS 8 mobile operating system and possibly a new iWatch device.